There are 82 names in this directory beginning with the letter C.
One of a body of rules to guide the interpretation of statutes, ordinances, etc. In ecclesiastical law a rule primarily concerning the clergy, but also at times embracing lay members of a congregation. A criminal offense punishable by death, for which bail is generally unavailable to the defendant. An action, cause, suit, or controversy, at law or in equity. A claim in law and fact sufficient to form the basis of a valid lawsuit, a right of action is the legal right to sue, a cause of action is the composite of facts that gives rise to a right of action. Latin term meaning "let him beware." a warning or caution. a suggestion to a judicial officer to take care how he or she acts in a particular matter and to suspend the proceeding until the merits of the issue thus raised (the caveat) are determined. Latin for "let the buyer beware." This phrase expresses the rule of law that the purchaser buys at his or her own risk. An order of a court or other body having judicial authority prohibiting the person or entity to which the order is directed from undertaking or continuing a particular activity or course of conduct. Such an order may be issued upon a showing, to a degree of certainty or probability, that the conduct is unlawful or likely to be found unlawful. A reproach or reprimand, especially when delivered by a judicial or other official body; the act of pronouncing such a reproach or reprimand. A document issued by a local government agency signifying that a building or dwelling conforms to local building code. A document indicating ownership, similar to a bill of sale and usually associated with the sale of new motor vehicles. Latin term meaning "to be informed of." a means of gaining appellate review; a common law writ, issued by a superior court to a lower court, commanding the latter to certify and return to the former a particular case record so that the higher court may inspect the proceedings for irregularities or errors. An objection by a party (or party's lawyer) to the inclusion of a particular prospective juror as a member of the jury that is to hear that party's cause or trial, with the result that the prospective juror is disqualified from the case. In English law, the name of the chief judge of the court of chancery. In American law, a judge in a court of chancery. The jurisprudence that is exercised in a court of equity; synonymous with equity or equitable jurisdiction. Under Chapter 11, a debtor is permitted to postpone all payments on debts so that he or she can reorganize the business. While other bankruptcy proceedings seek to have the debtor's assets sold and to have all the creditors paid to the extent possible, Chapter 11 seeks to give the debtor a breathing spell with the hope that the business will recover and all creditors will be fully repaid. The goal is a plan that specifies how much the creditors will be paid, in what form they will be paid, and other details. A witness who testifies at another person's trial, vouching for that person's high moral character and standing in the community, but who does not have knowledge of the validity of the charges against that person. In criminal law, a description of the underlying offense in an accusation or indictment. In trial practice, an address delivered by the court to the jury at the close of the case, telling them the principals of law they are to apply in reaching a decision. The charge may also include instructions given during the trial for the jury's guidance. A document issued by the government establishing a corporate entity. Any tangible, movable thing; personal property as opposed to real property; goods. A mortgage on personal property created to secure the payment of monies owed or the performance of some other obligation. This security device has for the most part been replaced by the security agreements available under the Uniform Commercial Code. The presiding member of certain courts with more than one judge; especially, the presiding member of the U.S. Supreme Court who is the principal administrative officer of the federal judiciary. The amount of money the court requires one spouse to pay to the other who has custody of the children born of the marriage. It may be imposed by the court with or without an award of alimony. 1. The name used for the principal trial court in many states. In the federal system, appellate courts are organized into thirteen circuits. Eleven of these cover different geographical areas of the country- for example, the United States Court of Appeal for the Ninth Circuit covers Alaska, Arizona, California, Hawaii, Idaho, Montana, Nevada, Oregon and Washington. The remaining circuits are the District of Columbia Circuit and the Federal Circuit, (which hears patent, customs and other specialized cases based on subject matter). The term derives from an age before mechanized transit, when judges and lawyers rode the "circuit" of their territory to hold court in various places. 2. A court that sits at two or more places within one judicial district 3. One of several courts in a given jurisdiction; a part of a system of federal courts extending over one or more counties or districts formerly listed as U.S. courts of appeals. Indirect evidence; secondary facts from which a principal fact may be reasonably inferred. 1. A reference to a legal authority, for example, a citation to a statute or case. 2. A writ similar to a summons, in that it commands the appearance of a party in a proceeding. The object of a citation is to give the court proper jurisdiction and to notify the defendant that a suit has been filed. 1. To summon; to order to appear, as before a tribunal. 2. To make reference to a text, statute, case or other legal authority in support of a proposition or argument; also the reference thus made. The branch of law that pertains to suits other than criminal practice and is concerned with the rights and duties of persons in contract, tort, etc. A non-criminal lawsuit, usually involving private property rights. For example, lawsuits involving breach of contract, probate, divorce, negligence and copyright violations are just a few of the many hundreds of varieties of civil lawsuits. Refusal to obey government demands or commands, especially as a nonviolent and usually collective means of forcing concessions from the government. 1. Roman law embodied in the Justinian Code and presently prevailing in most western European states, it is also the foundation of the law of Louisiana. 2. The law concerned with noncriminal matters. 3. The body of laws established by a state or nation, as distinguished from natural law. The nonpolitical rights of all citizens, especially those rights relating to personal liberty. Civil rights differ from civil liberties in that civil rights are positive in nature, and civil liberties; that is, civil liberties are immunities from governmental interference or limitations on governmental action (as in the First Amendment) that have the effect of reserving rights to individuals. The bond is taken by the employer and covers all employers up to a total policy amount. For example an owner of a store may take out a Commercial Blanket Bond for $50,000. If employee theft occurs the store is covered up to a maximum of $50,000. Existing together; in conjunction with. In criminal law, concurrent sentence describes multiple sentences that a convicted defendant is to serve at the same time. 1. To take private property for public use, such as the building of a highway, with or without consent but for just compensation. 2. To declare legally useless or unfit for habitation, as an unsafe building. 3. To sentence to death a person convicted of a capital offense. An admission of guilt or other incriminating statement by the accused; not admissible at trial unless voluntarily made. A scheme by which a swindler wins the confidence of his victim and then cheats him of his money by taking advantage of the confidence reposed in him. 1. With regard to acts by a government entity, to take private property without just compensation. 2. To seize goods or property and divest the owner of his or her proprietary rights usually as a result of some violation of the law involving the goods or property seized. An inconsistency between the public interest and the personal interest of a public official that arises in connection with the performance of official duties. The rights of married persons which include companionship, domestic happiness, the comforts of dwelling together, joint property rights, and the intimacies of domestic relations. In prison, a conjugal visitation permits an opportunity for sexual intimacy between the inmate and his or her spouse. A status recognized by U.S. Selective Service ("draft") laws and accorded to one who, in good conscience, because of religious belief, is opposed to war. Such a person may be excused from participation in military service otherwise required by law and may be permitted to substitute community service. Something of value given in return for performance or promise of performance for the purpose of forming a contract; generally required to make a promise binding and to make agreement of the parties enforceable as a contract. Consideration distinguishes a contract from a gift. 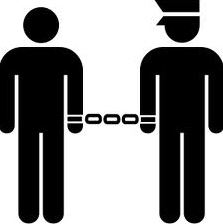 A combination of two or more persons to commit an unlawful act, or to commit a lawful act by unlawful means. A conspiracy to injure another is an actionable tort; it may also be a criminal offense. One involved in a conspiracy; one who acts with another, or others, in furtherance of an unlawful transaction. The fundamental principles of law by which a government is created and a country is administered. In Western democracy theory, a mandate from the people in their sovereign capacity, concerning how they shall be governed. It is distinguished from a statute, which is a rule decided by legislative representatives and subject to limitations of the Constitution. Individual liberties granted by the State or Federal Constitutions and protected from governmental interference. An interpretation of something not totally clear. To determine construction of a statute or constitution is to decide the meaning of an ambiguous part of it. Strict construction refers to a conservative or literal interpretation of statutes, stressing ridged adherence to terms specified. Refers to laws designed to aid retail consumers of goods and services that have been improperly manufactured, delivered, performed, handled or described. Such laws provide the retail consumer with additional protections and remedies not generally provided to merchants and others who engage in business transactions. A charge made by an attorney for services rendered to his or her client, recovery of which depends upon a successful outcome of the case. The amount is often agreed to be a percentage of the client's recovery. Such fee arrangements are often used in negligence cases, but it is unethical for an attorney to charge a criminal defendant a fee contingent upon the result. The adjournment or postponement to a specified subsequent date, of an action pending in a court. A promise, for the breach of which the law provides a remedy, or the performance of which the law recognizes as a duty; a transaction involving two or more individuals whereby each has reciprocal rights to demand performance of what is promised. A drug whose general availability is restricted, any substance that is strictly regulated or outlawed because of its potential for abuse or addiction. Controlled substances include narcotics, stimulants, depressants, hallucinogen, and cannabis. Willful disobedience to the summons or orders of a court; overt defiance of authority. Contumacious conduct may result in finding of contempt of court. In real property law, to transfer property from one to another, by means of a written instrument and other formalities. One who has been determined by the court to be guilty of the crime charged; to determine such guilt. The result of a legal proceeding in which the guilt of a party is ascertained and upon which sentence or judgment is founded. The confession of and accused in open court or a verdict that ascertains and publishes the fact of guilt are both sufficient to constitute a conviction. Protection by statute or by the common law giving authors and artists exclusive right to publish their works or to determine who may so publish. When by statute, copyright is exclusively a matter of federal law. A public official who investigates the causes and circumstances of suspicious deaths that occur within his or her jurisdiction and makes a finding in a coroner's inquest. An association of shareholders (or a single shareholder) created under law as an artificial person, having a legal entity separate from the individuals who compose it, with the capacity of continuous existence or succession, and the capacity of taking, holding and conveying property, suing, sued, and exercising, like a natural person, other powers that are conferred on it by law. A corporation's liability is normally limited to its assets, the shareholders are thus protected against personal liability of the corporation. The corporation is taxed at special rates, and the stockholders must pay an additional tax upon dividends or other profits from the corporation. Corporations are subject to regulation by the state of incorporation and by the jurisdictions in which they carry on their business. Latin for the "body of law." A series of texts containing much of the civil and canon ecclesiastical law. The act of affixing one's signature in addition to the principal signature of another in order to verify the authenticity of the principal signature. 1. Attorney or legal advisor. 2. The advice or aid given with respect to a legal matter. 3. In criminal law, the term may refer to the advising or encouraging of another to commit a crime. A distinct statement of plaintiff's cause of action. In indictments, a count, like a charge, is an allegation of a distinct offense. A complaint or indictment may contain one or more counts. Forged; fabricated without right; made in imitation of something else to defraud by passing the false copy for the genuine. A schedule of cases awaiting disposition in a given court, also referred to as the trial list or the court docket. The court of the United States, created to determine all presented claims founded upon any law of Congress, upon any regulation of an executive department, or upon any contract, express or implied, with the government of the United States, and also all claims that may be referred to the court by either house of Congress. It has no power over matters in equity. An intermediate court in some American states that usually has civil and criminal jurisdiction. A court having jurisdiction in cases where an adequate and complete remedy cannot be had in law. Courts that are guided primarily by equitable doctrine are said to be courts of equity. Thus, a bankruptcy court is a court of equity. Courts of equity, which arose independent of courts of law in England, have merged with the latter in most jurisdictions of the United States. A tribunal with jurisdiction over cases at law. The term applies to courts that administer justice according to federal or state law or common law, as distinguished from courts that follow the principles of equity and are called chancery courts. Law courts and equity courts, however, are generally no longer distinguished and a court of law is any tribunal administering the law. A court that, like most modern courts, is required by law to keep a record of its proceedings, including the orders and judgments it enters, and that has the authority to imprison and to levy fines. A Military tribunal with jurisdiction over offenses against the law of the service in which the offender is engaged, a proceeding in such a court. One to whom money is owed by the debtor, one to whom an obligation exists. In its strict legal sense, a creditor is one who voluntarily gives credit to another for money or other property; in its more general sense it is one who has a right by law to demand and recover of another a sum of money on any account. A wrong that the government has determined is injurious to the public and that may therefore be prosecuted in a criminal proceeding. Crimes include felonies and misdemeanors. A crime committed under the influence of sudden or extreme passion. That an act was committed in the heat of passion may provide a defense to a charge of murder, since it negates the element of premeditation, a necessary element of murder. 1. Done with malicious intent, with a disposition to injure persons or property. 2. One who has been convicted of a violation of the criminal laws. The questioning of a witness, by a party or lawyer other than the one who called the witness, concerning matters about which the witness has testified during direct examination. The purpose is to discredit or clarify testimony already given so as to neutralize damaging testimony or present facts in a light more favorable to the party against whom the direct testimony was offered. A penalty tantamount to torture, or excessive in proportion to the offense for which it is imposed, or inherently unfair, or by contemporary standards shocking to people of reasonable sensitivity. A punishment not inherently cruel and unusual may become so by the manner in which it is inflicted. Such punishment is prohibited by the Eighth Amendment to the U.S. Constitution. Deserving of moral blame or punishment, at fault; having acted with indifference to consequences and to the rights of others. As applied to property, the condition of holding a thing within one's personal care and control. As applied to persons, such control over a person as will insure his or her presence at a hearing, or the actual imprisonment of a person resulting from a criminal conviction. Custody of children is legal guardianship. The care and control of minor children awarded by the court to one parent in a divorce proceeding. Where parents both make application for joint custody, and circumstances render the arrangement feasible, some courts have awarded custody to both parents so that responsibility for the children is shared. Under a joint custody order, each parent would assume custody of the children for a fixed period, such as for six months or for the school year or for the summer vacation.